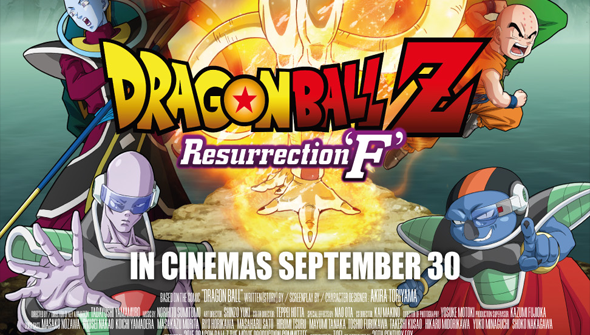 Fans in the UK are gearing up to get their chance to see Dragon Ball Z: Resurrection F on the big screen thanks to Manga Entertainment. The smash hit latest outing in the hugely popular series is screening in venues around the UK from September 30th, with the home release originally planned just weeks later. However, the demand for the film has proved to be much greater than originally anticipated. So great in fact, that the distributor has been forced to push back the DVD and Blu-ray release of the film from it's original October date. The trouble is that many cinema chains have rules about release windows (ie the gap between the cinema showing and a home release). In order to try and make sure that as many people can catch it on the big screen as possible, Manga have therefore had to delay the home release to an as yet unspecified time. So.. the good news is that there will be more chances to see the film in the cinema, beyond the original one-day event. But you'll just have to wait a little longer for the home release as a result. Check out the latest list of screenings here, and read our review of the film here.